Last Saturday, Sept. 29th, was a very busy day at the Farmers’ Market. We celebrated Culture Days with our traditional Soup Fest which always draws a crowd. The chefs’ recipes will be available on our web site. We also hosted our first Thanksgiving Food Drive, together with NewRoads Mazda, called “Stuff a Truck”(a Mazda) which we filled with groceries and raised $1000 for the Aurora Food Pantry! We’d like to thank NewRoads Mazda,all who participated and our Board member, Kris Misiuda, who brought the idea to us and organized and coordinated the event with help from another Board member, Cathy Williams. Let me now introduce you to the two young men behind The Little Farm that Could..Both Micheal and Chris are under 30 and had been doing other things when each one decided to pursue a different path. They came together to grow safe, clean, nutrient dense food for their community, friends and family. The Little Farm That Could is a growing project with simple principles—small scale, minimal machinery and as “organic” as possible. They placed the emphasis on working with the land, not against it. 90% of their tools are hand tools and they use no more than30L of gasoline per season for sustainability. Hands on intensive growing gives today’s youth as well as generations to come jobs and opportunities in agriculture. state of our oceans, forests and atmosphere and developed a deep desire to help. He discovered that conventional agriculture is the largest contributor to environmental destruction. From the clear cutting of forests to the dead zones created by fertilizer runoff in the Gulf of Mexico, our oceans, rivers and land are altered by how we get food on our tables. Looking at the big picture, Micheal decided that he had to do something to help fix this problem. As for Christopher, the other half of The Little Farm That Could, becoming a farmer was never really on his radar. He was working as an individual investor in the stock market for 5-6 years. However he found that staring at a computer screen for hours every day was hard on his eyes and brain. He had learned about food and the chemicals that were being introduced onto the land in order to make crops grow bigger and better. Chris was also very concerned about the chemical sprays people use to combat weeds. He decided that he would prefer to grow his own food. The family had about 59 acres of land and, while contemplating what to do with the land, Chris and Micheal talked about aquaponics. By then, Chris wasn’t doing much trading and the two young farmers in training enrolled in an aquaponics course. They hired a consultant to determine how much it would cost to turn the horse barn into an aquaponics facility. The cost was huge and they knew that they couldn’t make it happen for a while, so they refocused on “real” farming. Initially this upset Chris since he was opposed to using big machines on the land. So, they took another course and realized that they could farm naturally, as nature intended it should be. Their plan was to grow vegetables and be as eco-friendly and as “organic” as they could be. While they consider that they farm in an “organic manner” they are not certified as organic, but they are chemical and pesticide free. Do visit them and try their wonderful produce. activities and our own Aaron Morris and his Manatee Band will be playing. 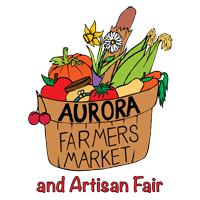 It will be a fun day for a visit to the Farmers’ Market and Artisan Fair.